The ‘Longines Time Machine’ is a series of videos exploring the Swiss watchmaker’s 185-year-old history. The Longines Time Machine has also proven itself to be quite erratic, because in Episode 2, we find ourselves landed in the present year; January 2017 to be exact, in London, at the World’s Best Racehorse Awards. Everybody knows that Longines and equestrian events go together like a horse and stirrups. But what we learned at Claridge’s in central London earlier this year is that the connection runs far deeper than television rights and branding. Longines are in fact key sponsors of the industry, as well as the public-facing events, and are official partner of ‘The World’s Best Racehorse Awards’, which in 2016 had Australian champion thoroughbred Winx vying for the top spot with American thoroughbred (and the leading money earner in North America of all-time) Arrogate. 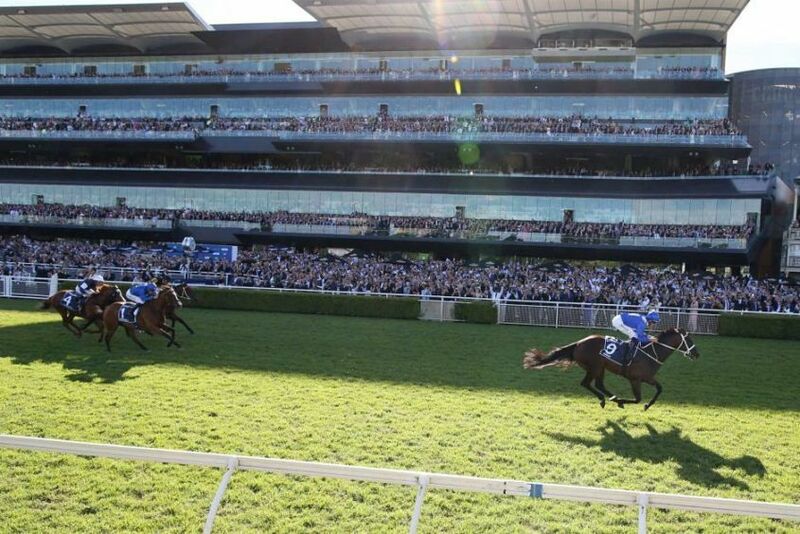 The timing of this video is impeccable, as Winx just won her 17th race in a row at the Longines Queen Elizabeth Stakes in Sydney, yesterday. No Doubt, Happy Clapper and The United States, the three horses I backed to place, because Winx’s odds were $1.10, went to the front early, but as she rounded the back straight, Winx found her line and she won by five lengths. Jockey Hugh Bowman rode her over the line first for the 15th time since the streak started in May of 2015. The ABC reported that Bowman said he had full confidence in the mare knowing her winning run was on the line. “It’s really special,” he said. “I’m really lost for words, she’s just put it all out there. And the amount of expectation on her, I know she’s ready and everything has gone to plan so far.